Convert ODS to XLSX with Coolutils. You are here: CoolUtils > Total Excel Converter > Convert ODS to XLSX with Coolutils. There is a great solution to the problem of converting OpenOffice to Excel. Total Excel Converter supports a variety of formats and can be very helpful in working with all sorts of tables. It poses no difficulties for first time users, because it features an easy-to-follow user interface. Actually, you only need to briefly run through its basic options to understand how to operate it. This is the most advanced and user friendliest ODS XLSX converter today’s software industry can offer. If creating accounting documentation is one of your primary activities, you can hardly find a better utility to help you to carry out your daily tasks. This program features a built-in viewer, so you can see what your target document is going to look like. This XLSX converter features command line option, which enables you to convert ODS to XLS from within other programs. Besides, Total Excel Converter integrates into the right-button popup menu. Converting OpenOffice to Excel is a very simple thing to do. 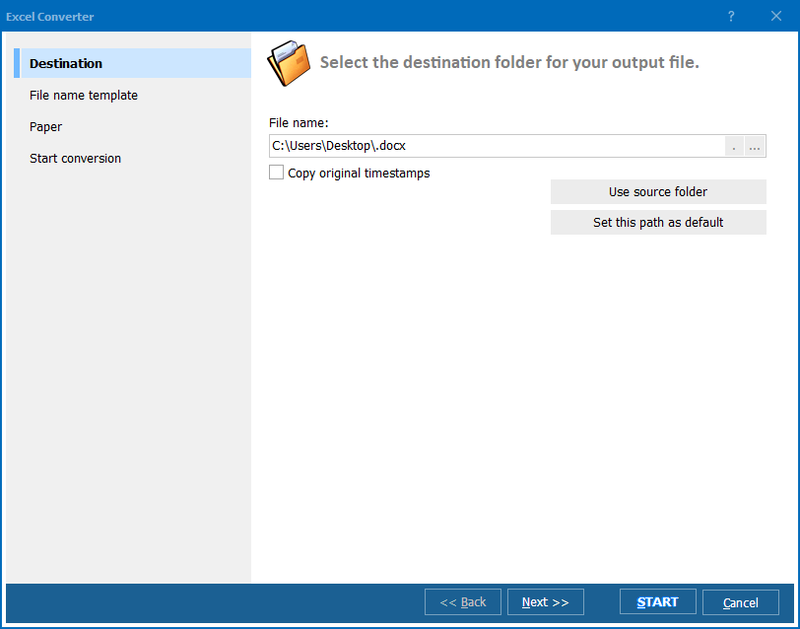 Run the converter and choose the folder with ODS files from the file tree. 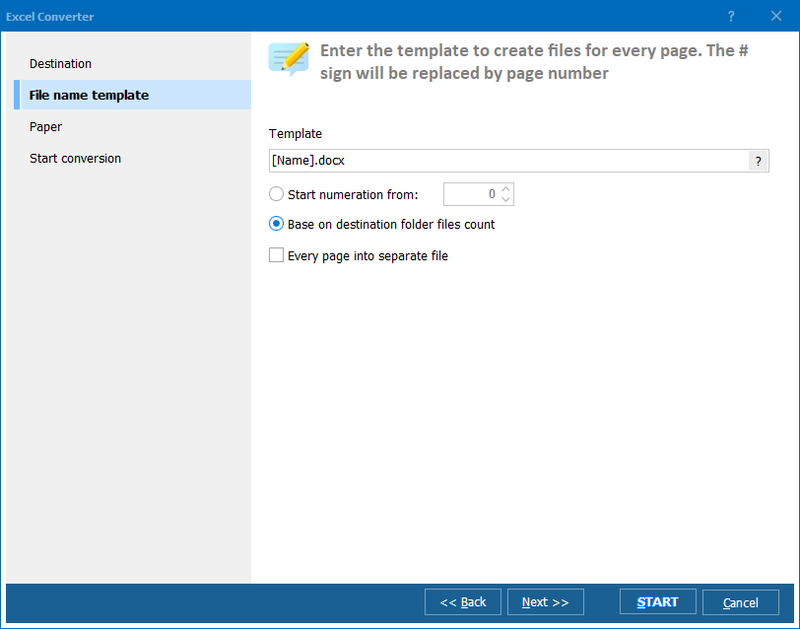 Check the source files and select the target format in the toolbar or format menu. Use the program wizard to adjust your settings. Click Start to convert. By aid of this XLSX converter, you can convert your files in batch. This is pretty much the same as described above, except you should click Check All when check-marking your source files. It won’t take much longer for the program to convert a hundred files than a single file. Total Excel Converter supports Excel , Excel 2007 and OpenOffice, so you can use it to convert all sorts of tables. Other source formats include wk2, .xml, .sql, .dbf, wks, .dif, .tex. The target formats are: Word, HTML, PDF, Access, ODT, XML, TXT, ODS, CSV, SQL, DBF, LaTeX, Lotus, DIFF, TEX, SYLK. 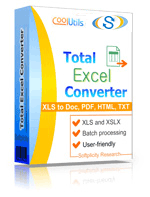 Total Excel Converter is a shareware tool, which is available online. You can either place an order now or use the free trial version. The trial period lasts 30 days. After that, you will need to register. Registered users receive free technical support and updates. Convert Excel to XLSX professionally. Convert XLSX to LaTex like a Pro! Convert XLSX to SLYK with comfort. Convert XLSX to DBF in batches professionally. Convert XLSX to TIFF with Coolutils.